An interesting look at the sports event industry in Greater Raleigh, N.C., by Neil Amato. Charlie Dobbins has a hard time sitting still. 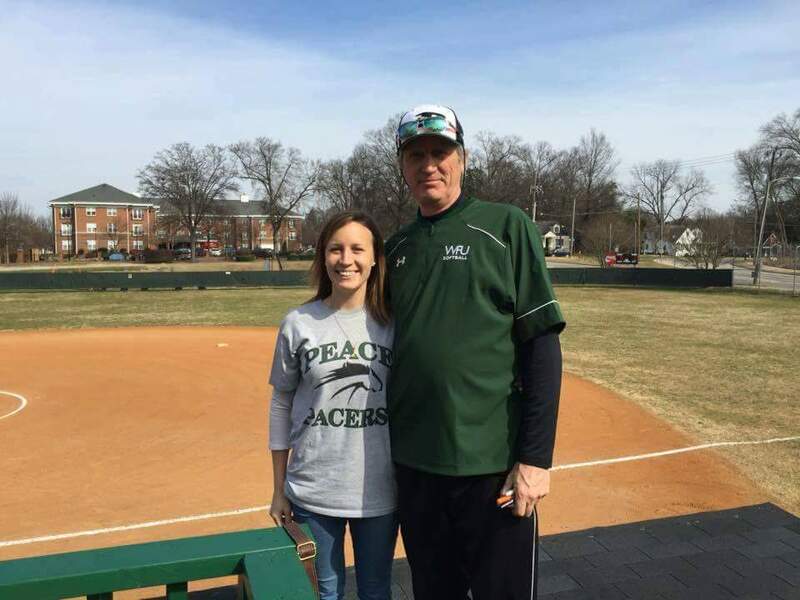 Yet, he’s at home in Raleigh, N.C., where he’s roamed the same dugout and third-base coach’s box for 18 seasons, building the William Peace University (WPU) softball team into a consistent winner. If the Division III Pacers have a breakthrough season, Dobbins could reach 400 career victories by May. His travels might have suggested, back in 1999, that William Peace–formerly known as women-only Peace College–was going to be another stop on Dobbins’ barnstorming tour of life. Born in New England, raised in the South, attending college in Georgia and Rhode Island, he fluttered around like a Tim Wakefield knuckleball. But, seeking an escape from snow and a desire to raise a family near his mother’s N.C. roots, Dobbins, his wife Lisa, and children Niki and Corey settled in Raleigh. "It&apos;s been a fun run," Dobbins said. The barnstormer in him didn’t go away. It was too much fun staying in motion. In the summers, Dobbins toured with the King and His Court, a roving, four-player fast-pitch softball team that took on all comers. 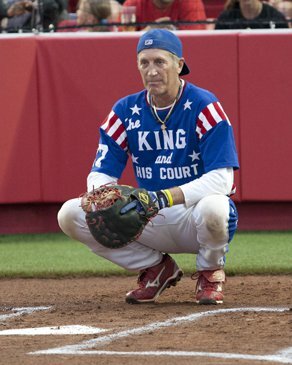 If you’re not familiar with the King and His Court, check them out here–or imagine the Harlem Globetrotters of the diamond. Dobbins played every position during his time with the Court but is best remembered as their last catcher. In August 2011, the Court played in front of more than 3,000 fans in Walla Walla, Wash., the hometown of legendary pitcher Eddie Feigner, who founded the team in 1946. Dobbins caught the last pitch of the last game of 65 years of barnstorming. The heyday of King and His Court was well before any of his Peace players were around. Parents and grandparents of recruits know of the team, and their daughters and granddaughters soon find out that Dobbins knows of what he speaks when it comes to fast-pitch softball. He’s 60 years old and still serves as a scout-team pitcher of sorts, able to simulate the type of thrower the Pacers will face. And sometimes, when the players “get a little cocky,” Dobbins has them line up to take their cuts, the way so many Court opponents lined up to try–and fail–to get runs or even hits against a team with just a pitcher, catcher, shortstop and first baseman. He focused on making sure he treated Niki fairly–perhaps too much. "Freshman year, that kid ran more laps than a track star," Dobbins said, a sentiment Niki agreed with. But she also began to figure out what the coach wanted, and she could advise younger players as to why Dobbins&apos; way was the way things needed to be. Niki grew up on a ballfield, and she still spends time on one, playing for a coed fast-pitch team in the summers with her brother, boyfriend and, sometimes, her father. She also coached some, starting the program at Wake Technical Community College while earning her master&apos;s degree at North Carolina State University. 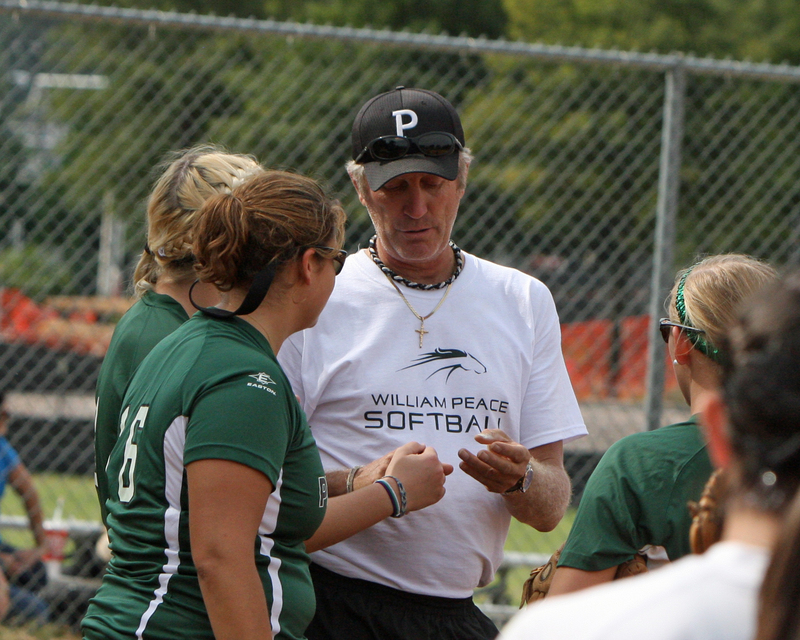 "He&apos;s a great teacher, and part of it is (because) he can play the game," Niki Dobbins said. "I know from experience–he taught me how to play. To be able to actually get out and take the ground balls with them and show them how to do it helps them understand. They can see he knows what he&apos;s talking about." Dobbins first played fast-pitch during summers home from college, when his father&apos;s job took the family to Louisiana. He also played it in New England, after graduating from Roger Williams University in Rhode Island, where he was a hard-throwing pitcher in baseball and a slot receiver in football – "Julian Edelman before there was a Julian Edelman," Dobbins said. After moving his family to Raleigh, Dobbins got a call in the mid-1990s about St. David&apos;s High School needing a softball coach. He got that job, and a few years later, when the AD at St. David&apos;s left to take the same job at Peace, Dobbins followed him. Dobbins had played against the Court multiple times in New England and developed a rapport with the team. After moving to N.C. in 1994, he helped book games for the Court in the Southeast. That led to playing opportunities regionally and, later, a more permanent position. Mike Branchaud, a former Court player and now the manager of Canada&apos;s Olympic softball teams, recalled that Dobbins was the energy guy that every team needs, especially when the 200-games-a-summer grind begin to quell enthusiasm. "He always had that energy, even as we were getting older, and that ability to pick everyone up and say, ‘Let&apos;s get going here,&apos;" Branchaud said. "He didn&apos;t want to sit in the hotel. Whether it&apos;s going golfing during the day or just going outside and playing catch, he&apos;d keep everybody moving." "I say, yeah, that&apos;s Charlie, always on the move," Branchaud said. "He&apos;s got that drive and passion to improve and to teach kids." Dobbins has helped to grow the game locally. 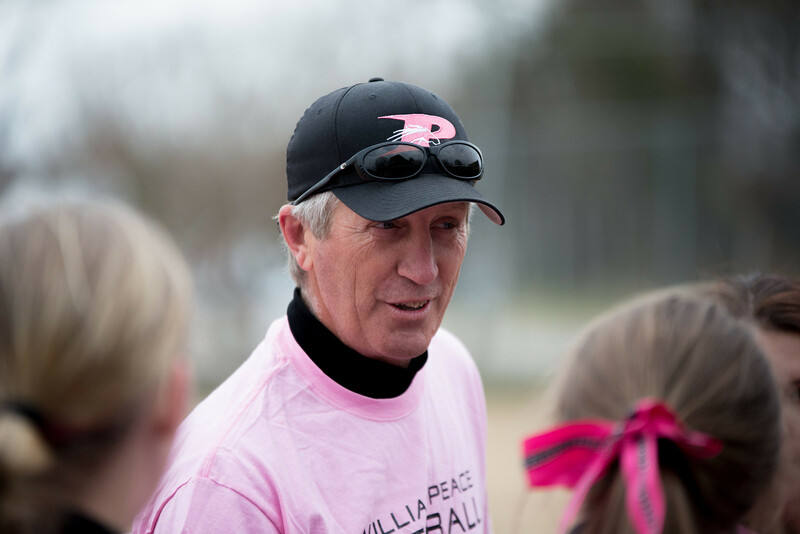 He was instrumental in Greater Raleigh landing the 2005 and 2006 NCAA Division III softball championships, held at the Walnut Creek Softball Complex. And William Peace is the host for an annual tournament that brings together some of the nation&apos;s top teams early in the season. 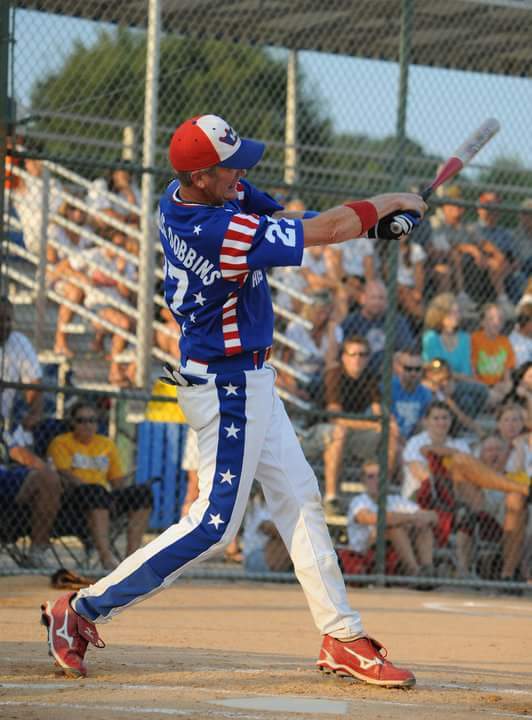 The Grand Slam Triangle Softball Classic, Feb. 24-26, is a 15-team event at the USA Baseball National Training Complex at Thomas Brooks Park in Cary. The 11th annual tournament features Raleigh&apos;s William Peace University, as well as Messiah College, the 2016 Division III NCAA runner-up, and preseason ranked teams Emory, Salisbury and Christopher Newport. Dobbins has been part of multiple softball committees, including ones that pick all-Americans and the Division III tournament field. He passes on expertise by organizing clinics, using his hefty contact list to bring in talented and famous demonstrators. Of course, he&apos;s also one of those skilled clinicians. "I&apos;ve been blessed with good health and a right arm that can still pitch," he said. That&apos;s a good thing, because the barnstormer in Charlie Dobbins doesn&apos;t know any other way.